We haven’t seen the last of TV salesman extraordinaire Billy Mays. Mays’ his last commercial will air throughout the summer. Billy most often pitched — says the commercial for Mighty Tape will begin airing July 20. Billy filmed the ad in the last days of his life, dying of previously undiagnosed heart disease the evening after he flew home from the shoot. Mays’ dedication to the products he pitched was so deep that the pallbearers at his funeral wore the same style khakis and OxiClean blue shirts Mays wore in the popular commercials. Need a Mays fix sooner? The Discovery Channel, which airs Mays’ Pitchmen costarring his business partner Anthony Sullivan, has put together a special memorial episode. 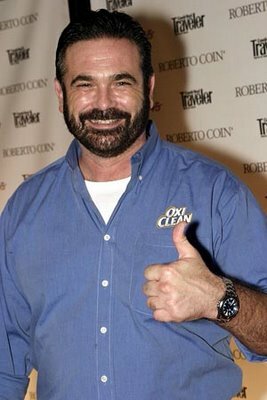 Check your local listings for Pitchman: A Tribute to Billy Mays.